The clubhouse has a lounge, solarium and billiards. A car is essential to enjoy the area. 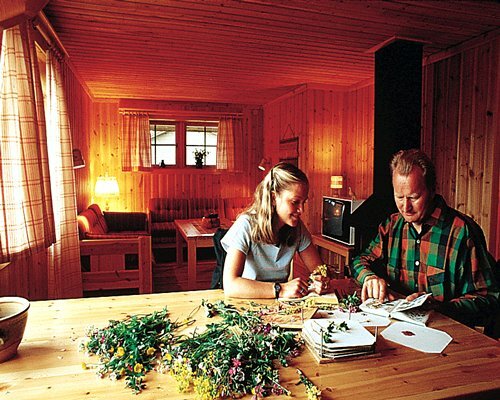 The timberlog lodges each have a sauna and wonderful views over the mountains to the south. 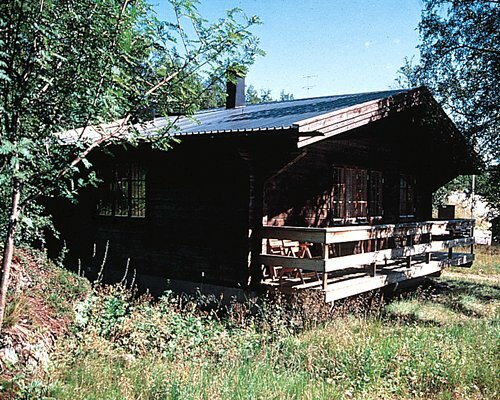 Fjällsätern, in Tänndalen, is situated on the southern side of Mount Skarvarna. The resort's position is so high, close to the treeline, that only small trees called mountain birches grow here. The long guaranteed snow season provides extensive skiing both downhill and cross-country. BY AIR: For internationals arrivals fly to Stockholm (approx. 600 kms) and then further on to R?ros (Norway) 70kms or ?stersund (Sweden) 220kms via local flights. BY ROAD: From Gothenburg, take the E20 to ?rebro, R60 to Borl?nge, R70 to Mora, R45 to Sveg and R84 to Tanndalen (approx 11 hours drive). From Stockholm take E4 to Hudiksvall. Then R84 to Alvros, R84/R45 to Sveg. From there R84 to Hede and Tanndalen. From Sundsvall take E14 after Borgsj?e, R83 pass Ange take R83 to ?stvall, then R315 to Hedeviken and R84 to Tanndalen. BY RAIL: To ?stersund and then local train and bus. Approx. journey to resort by car:From Oslo 10 hours,Stockholm 9 hours, ?stersund 3 hours and R?ros 1hr.